The Place Another exciting entrant to the buzzing Amoy Street, I was craving for dumplings one day and the catchy and cheesy name of Dumpling Darlings caught my eyeballs. Yes, you hear it right. I’m not referring to human darlings. As a casual restaurant which specialises in dumplings and noodles, Dumpling Darlings is run by the same team behind the popular Lola’s Cafe at Simon Road. Other than two outdoor high tables, it is a predominately indoor dining space with a few counter seats by the bar where you can have a cocktail or two. The Food The menu is short and sweet, with three egg noodle options and six types of dumplings to choose from. Prices are relatively wallet friendly too, with most of the dishes priced below S$10. If you are working in the vicinity, there is a lunch set available at S$16 which gets you an iced drink, four dumplings and a bowl of egg noodles. The nice thing to always hear for us is that most of the ingredients are homemade, including the main highlights like the dumplings and egg noodles. I had the Sichuan Pork Noodles (S$6) with fried shallot, spicy minced pork and Sichuan tare for a start. It seems like anything Sichuan has been the food trend the past two years. I like the flavour of the egg noodles itself, though I would have enjoyed it more if there is more of a mala flavour profile as opposed to the mildly spiced result. For the dumplings, I went for The Original (S$7), a classic dumpling flavour filled with minced pork collar and served with black vinaigrette. There is a sight crisp for the texture, while the fillings are pretty decent. It is good, but not mind blowing. In fact, I very much enjoyed the Fried Pierogi (S$8), which is quite unique in terms of the combination which goes into the fillings. You get a nice balance of smoked bacon, truffle potato and caramelised onion in the dumpling, complete with the punchy Sriracha sauce. This is also the only fried dumpling on the menu. The skin is very crispy, and it goes very well with the spicy Sriracha sauce. The subtle hints of truffle in the potato completes the whole fusion flavour of east meets west. Rants You probably need to budget some waiting time during meal hours given the tight space. Tables aren’t too big, hence it might not be ideal for your big team meal. Will I Return Again? For its wallet friendly prices, the quality of food is pretty decent for me. 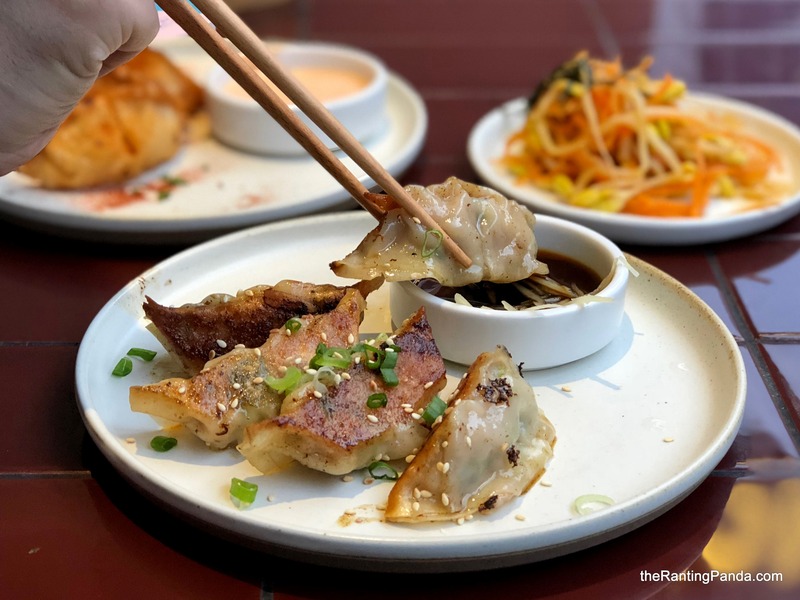 Dumpling Darlings is quite ideal for a casual catch up meal in the CBD, and I’m guessing you wouldn’t stop at trying one dumpling flavour only.